Have you ever been frustrated by needing to expand a window every time you open it? We have found this to be a common complaint, and one that can be easily fixed. 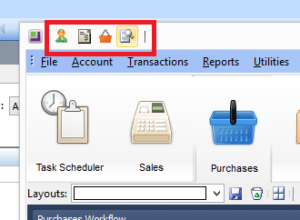 MYOB have a feature that allows you to save the form size and position, simply expand the window as large as you would like it, then right click on the Window header (within the red box) then select Form position > Save (or restore to reset) and voila – your selected window will always open to be the same size. Ever wondered what these are? They are quick keys which offer you the ability to access functions within the system with less clicks, defaults are F4 – Sales Orders and F7 for Invoice search, we can configure a lot of different types – and its easier than you think, contact us for more information. Have you tried to export a report to excel and it didn’t quite work – have you tried the grid? 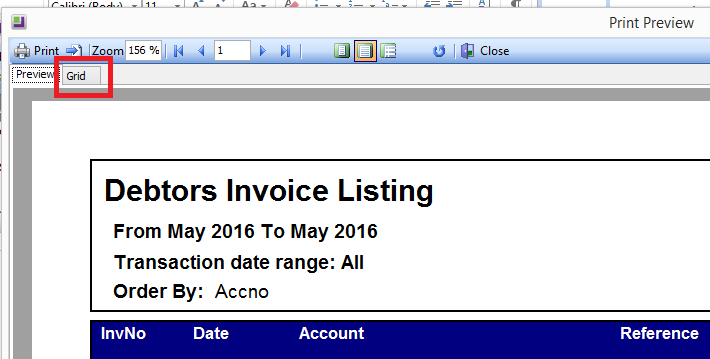 This tab on all clarity reports offers the data behind the scenes of most reports. It links to an EXO GRID and allows you to copy to clipboard for pasting into Excel.